Katie Murphy is a Human Resources professional and current New Frontiers participant at Waterford Institute of Technology. 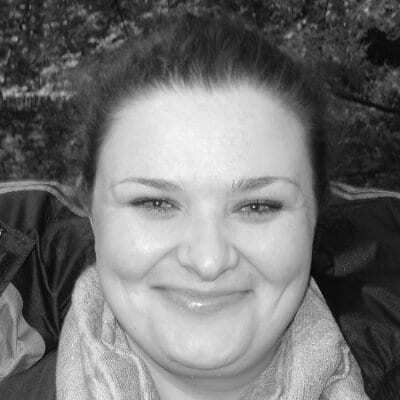 Katie holds a Masters in Human Resources from Waterford Institute of Technology, and previously worked for Veolia. She has particular interest in employee relations strategies, entrepreneurship, employee law and economics. Her entrepreneurial journey started this summer, whilst Katie was on extended maternity leave following the birth of her daughter last year. Katie’s early-stage startup, Clún-Ór, is an agri-business inspired by the 50 acre field opposite the Murphy house which Katie wanted to rent, but simply couldn’t afford. Prompted by a Local Enterprise Board tweet about the IBYE (Ireland’s Best Young Entrepreneur), she set about fitting an idea around her skill set and the resources available. Katie believes she has hit on a solution that has the potential to change the face of struggling farms in Ireland, and beyond. Katie’s business idea is still under wraps, and she isn’t trading yet, but she is enjoying the journey so far. I like working for myself; I have always been a hard worker and now I can put this effort and intelligence into something for myself. It will allow me in the future to have the flexibility to create a life I wouldn’t get from a ‘traditional’ position. Katie applied to New Frontiers, as she was looking for the time, space and resources to create a better vision for her business that the programme provides. Being surrounded by other entrepreneurs is hugely motivational as well, which helps her to balance work with being a mum. There is no perfect time to start a business and if you are looking for it you’ll be a long time waiting. I would say get down to your Local Enterprise Board as soon as you can. They have the information and resource to help – they are there to help you. Don’t feel like you are on your own. Try to link in with other entrepreneurs and like minds for validation and simulation. We’re looking forward to finding out more about Katie’s business, and we’ll keep you posted about her progress!